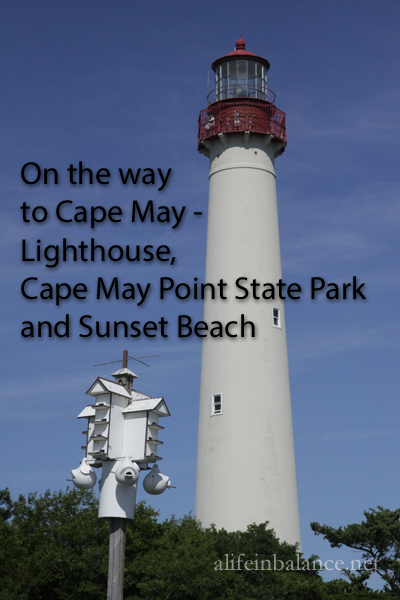 You’ll find the Cape May Lighthouse on the southern tip of New Jersey in Cape May Point State Park. 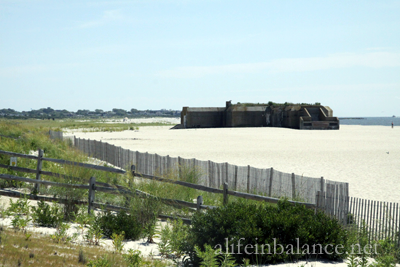 Part of a major migratory route for birds in the spring and fall, Cape May Point State Park is also home to a World War II bunker. At low tide you can still see the gun turrets at the front of the bunker. For my World War II history-loving kids, a visit to the Lighthouse and the bunker was a must. 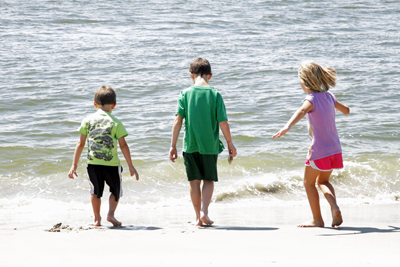 Last Friday, we finally took a trip to the Jersey shore, specifically to the Cape May area. When I was growing up, every summer we headed to North Wildwood to stay at my grandparents’ motel. When my oldest 3 kids were younger, we continued to visit every summer up until my aunt sold her motel and moved permanently to Florida. I never went back; I couldn’t. I couldn’t face seeing my grandparent’s motel ripped down, and condos built in its place. Finally, I decided it was time to go. I could manage to go to Cape May for the day. Now that we’ve made the trip, I am planning to take the kids to North Wildwood next Friday. One of them saw the ocean for the first time this summer. The other ones haven’t played in it since my daughter was about 2. 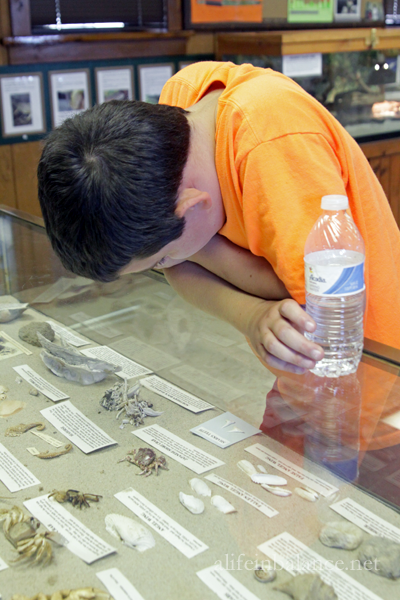 Studying items collected at Cape May Point. 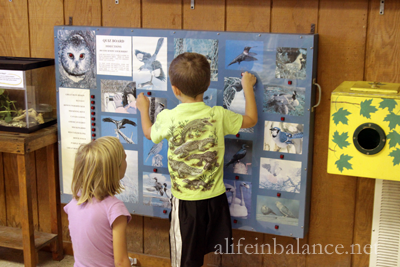 Learning about wildlife at Cape May Point Park. My 5 year old son saw the ocean for his first time. 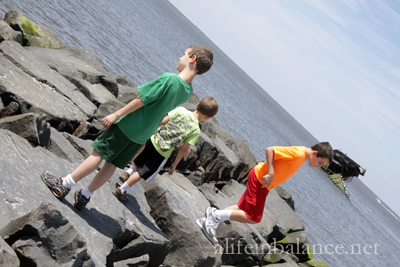 The kids loved climbing on the rocks at Sunset Beach. Just beyond my oldest son is a concrete ship. Nice job, beautiful photos! We’ve only driven through Cape May, seems a great place to visit. Thank you! You definitely should. The park is a lot less crowded than Cape May itself. I need to take my son there! Love the pictures! Thank you! We had such a great time, though I wish the kids could have gone in the ocean.